Cents of Style's Holiday Collection was created with the every woman in mind. With sizes from small to 3X and pieces that work for everyone, this collection was curated to show no matter your age, size or style, you can look and feel GOOD. 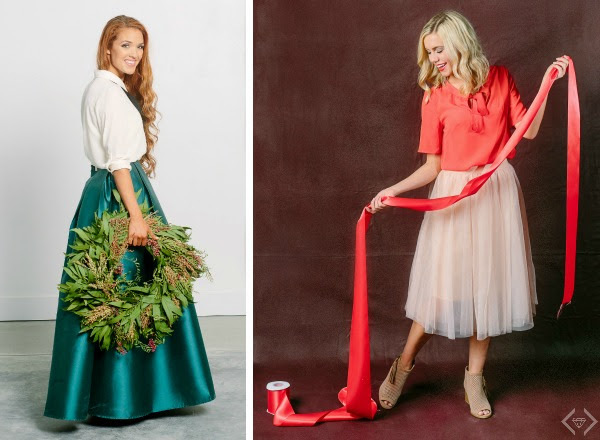 There are pieces like ball skirts for your holiday parties, amazing sweaters to wear all winter, boots, and tees that are holiday perfection. In addition to all the the must-haves (in sizes S - 3X), Cents of Style will be donating 10% off the proceeds from this holiday collection to charities that align with their values of looking, feeling, & doing good. At checkout, they will be offering this delicate, semi-precious stone necklace for FREE with any purchase from the holiday collection. It will be offered in a pop-up when moving to check out. Please note: Only 1 free necklace per purchase. Only 1 will ship. In addition, their Thankful. Grateful. Blessed. shirt has been so popular that they will extend theweekend deal. 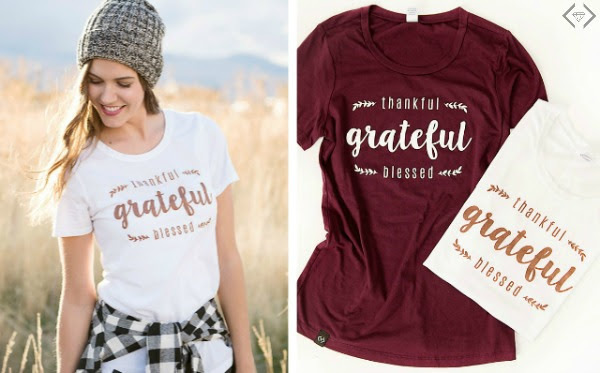 With any $25 purchase from the holiday collection on Monday, you will be able to get this shirt for FREE with code THANKFUL1!